One of the finest "novels of manners" ever written, a hilarious satire of the excessive propriety and mannerisms of the English in an age of repression. It is also the fascinating love story of a young woman stuck in this repressive English culture who is transformed by romantic Italy and awakened to love when she meets the true love of her life there without even knowing it... but will she realize this before it's too late? These six stories deal with transformations, the truth of the imagination, and the effect of the unseen on ordinary lives. By juxtaposing the Edwardian English with pagan mythology, Forster created a work of lasting strangeness and great beauty. On a journey to Tuscany, widowed Lilia Herriton falls in love with a handsome Italian much younger than herself, and decides to stay. Furious, her family send Lilia's brother-in-law to Italy to prevent this marriage, but will he arrive in time? Margaret meets her intended the morning after accepting his proposal and realizes that he is a man who has lived without true self-knowledge. The novel concerns itself with class and economic status, and how they affect personal relationships. 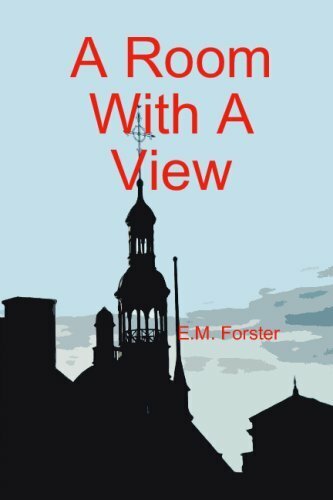 An introspective novel of manners at once comic and tragic, it tells of a sensitive young man with an intense imagination and a certain amount of literary talent. He sets out full of hope to become a writer, but gives up his aspirations.